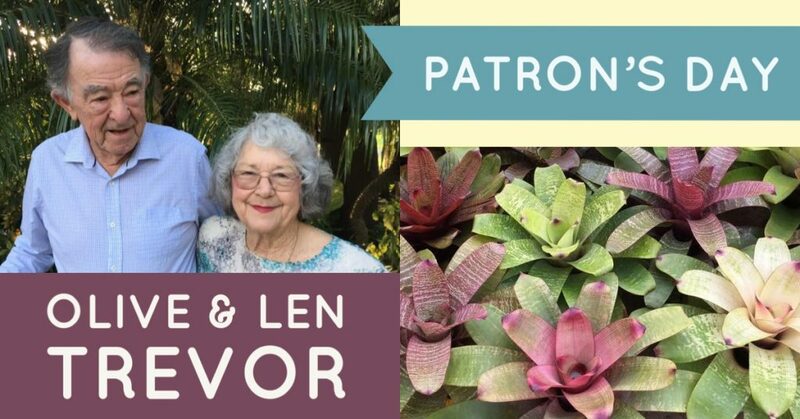 Olive and Len Trevor were appointed as Joint Patrons of the Bromeliad Society of Queensland in 2018. To celebrate, the Trevor’s are opening their home and garden to Society for a day of socialising and friendship. There will be activities throughout the day including walking through the amazing gardens that Olive & Len have established over many years. Olive and Len Trevor first joined the Society in February 1976. Olive has served in several committee positions including President, Vice President and Chief Judge. Olive has written articles for the Bromeliaceae journal and is widely respected for her service and expertise in bromeliads. Len has played a key supportive role for Olive and has also served in committee positions, including President. The Trevors regularly attend society meetings. They have often opened their home for study groups, field trips and judges school. They have also generously donated plants for prizes and donated plants to the refurbishment of the Roma Street Parklands. with your RSVP by Friday 26th April for catering purposes. Lunch will be provided and served at 12 noon. Please note: This is a members only event and there will be no plants sales.